The former couple was seen getting close at the Magnum ice cream party during the Cannes Film Festival. They spent most of the night “huddled close together” in the VIP section and “kissed intermittently,” the Los Angeles Times reports. Hadid was even seen caressing Tesfaye’s face at one point in the evening. The former couple, who split in November 2016, didn’t arrive to the fête together. Apparently, Bella made her entrance at around 10:20 p.m. local time and The Weeknd followed 20 minutes later, according to the LA Times. They were seen greeting each other with a hug and a kiss on each cheek, according to a video taken at the event. Even such subtle PDA was enough to get us excited for their reunion. A source previously told E! 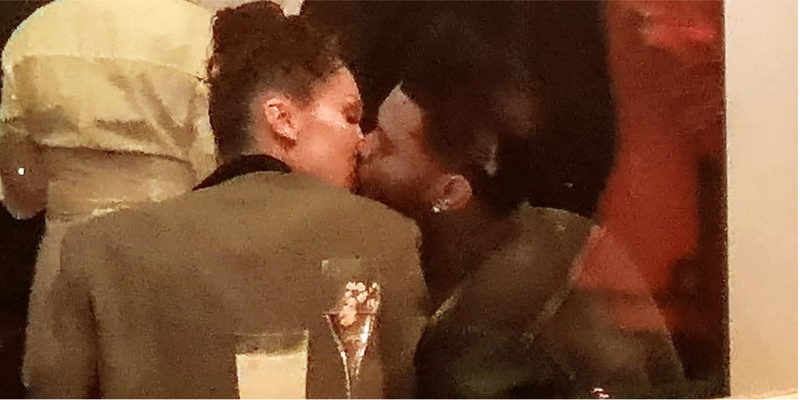 News that “Bella never really lost feeling for Abel and had hope they would eventually get back together.” Plus, the pair has been “secretly seeing each other recently,” but are not official, the insider added. In fact, after E!reported Hadid and Tesfaye’s kiss at Coachella, Bella personally denied that it happened. “It wasn’t me,” she wrote in the outlet’s Instagram comments. Look no further for your next television binge. The single, Sucker, sees the singers’ wives wear a number of avant-garde outfits. Want to up your nail game? Try these winners.